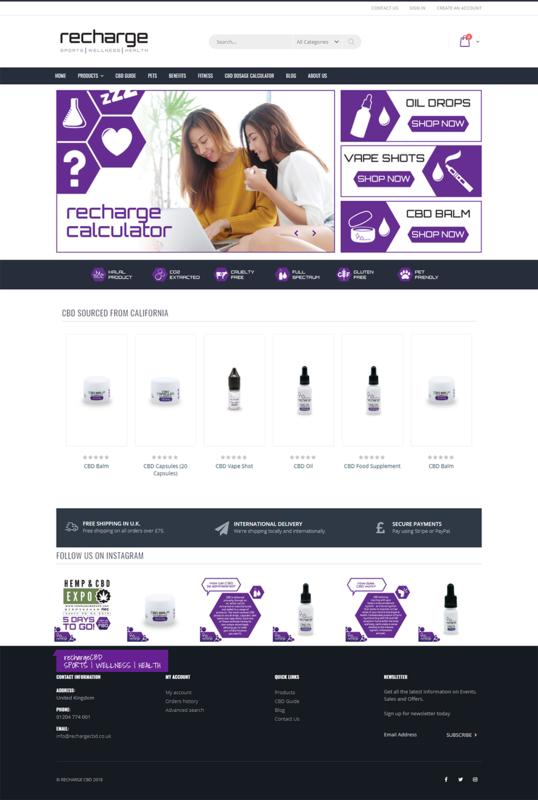 Recharge CBD came to us wanting a full digital marketing package. As part of our ongoing promise to them, we designed, built, and maintain this website for them. The website we developed for them focuses on being an E-commerce platform for them to sell their products. It was important for their customers to be able to identify their individual products clearly, and for the shopping experience itself to be as straightforward as possible. In line with their company ethos of being an educational resource, we included a blog and ‘about us’ pages that they can add to as their company develops.